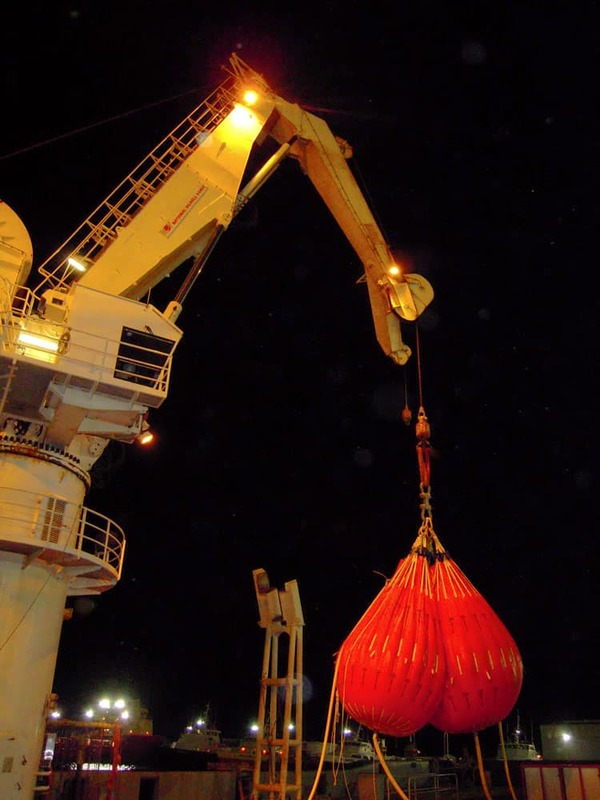 Morgan City Rentals rents water load test bags for testing Pedestal Cranes, Knuckle Boom Cranes, Overhead Cranes, Davit Cranes, Escape Pod Systems, and Life Boat launching systems. 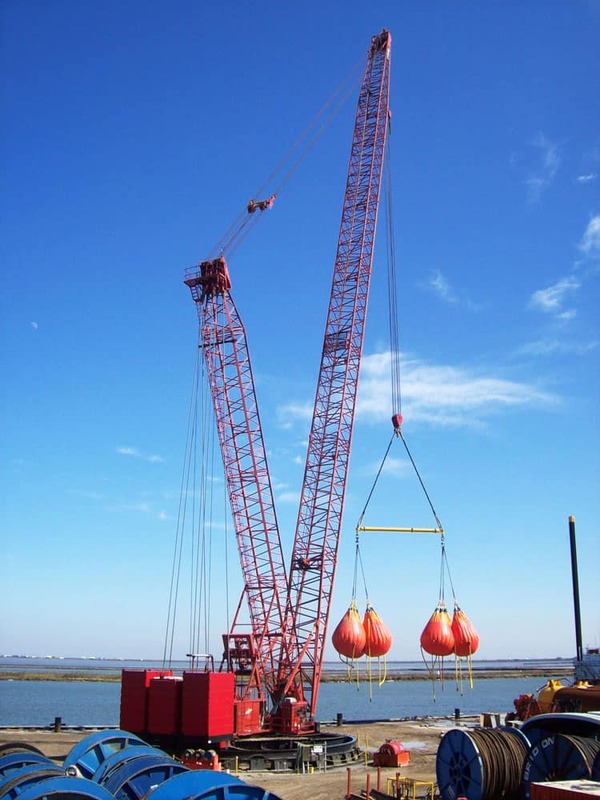 Capacities from 5 ton to 50 tons are standard, but larger capacities are available upon special request and can be combined utilizing spreader bars, shackles, slings, and load cells. Water load testing bags weigh considerably less than standard test weights allowing for savings in transportation and labor cost. 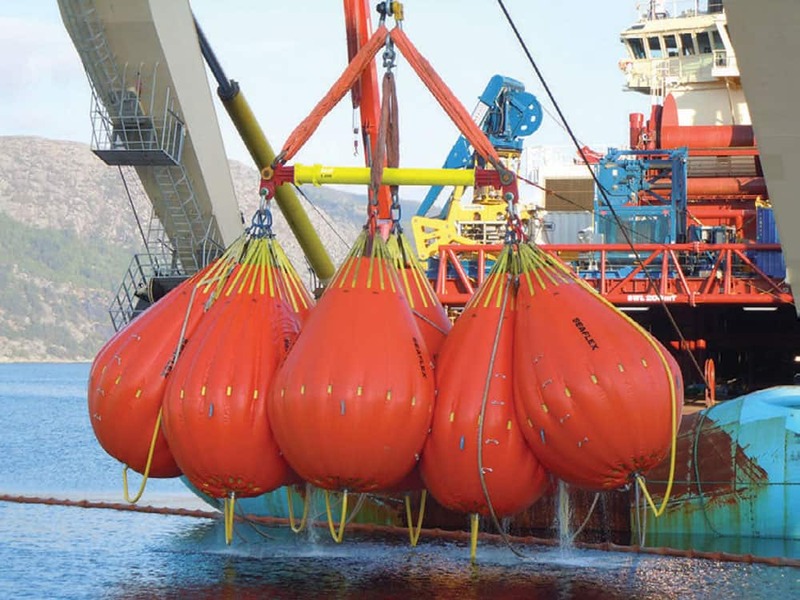 These portable water bags can be hung alone or used in tandem with other bags to achieve the correct capacity for the lift. Water load testing bags are filled and emptied using a controlled valve system. Contact Morgan City Rentals assistance with planning your next water bag test.